When do you prefer to go to the supermarket, Sunday or ordinary week day? Lol! Sunday the supermarket is closed..! Have a great day! i think not all supermarket is closed on sunday like here sunday is ordinary day, its friday that closed the supermarket. your from where if you dont mind? thanks comments appreciated! Weekend, early in the morning. Weekday, later in the evening, about 9PM. hmmm,sound you have a pretty busy week most of the time, anyway what ever we prefer to go on supermarket the price is still the same but we can choose for a less traffic in and outside the supermarket, thanks comment appreciated! i usually goto supermarkets on weekends !! its a whole lot more relaxing and fun !! Ordinary week ive to think of a million other things like college and stuff ... but weekends its Good .. mind is blank and pleasant! i usually go in the beginning of the week like sunday or monday so i can have food for the rest of the week. 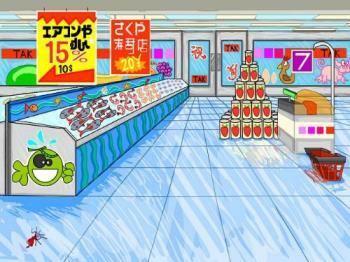 i like sunday because its a relaxing day when i dont have to go to classes, so i have time to do my grocery shopping. thankfully, stores are open here on sundays which they arent in most parts of the netherlands (or europe from what ive seen for that matter).